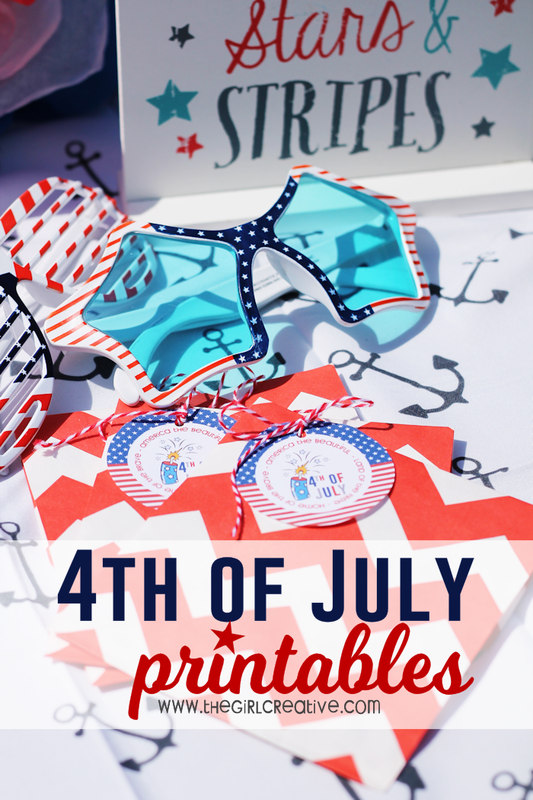 I’m so excited to be joining a bunch of lovely ladies in this 4th of July Printables blog hop! There’s a bunch of great ideas to help celebrate the 4th of July so be sure to check out all the links at the bottom of this post! 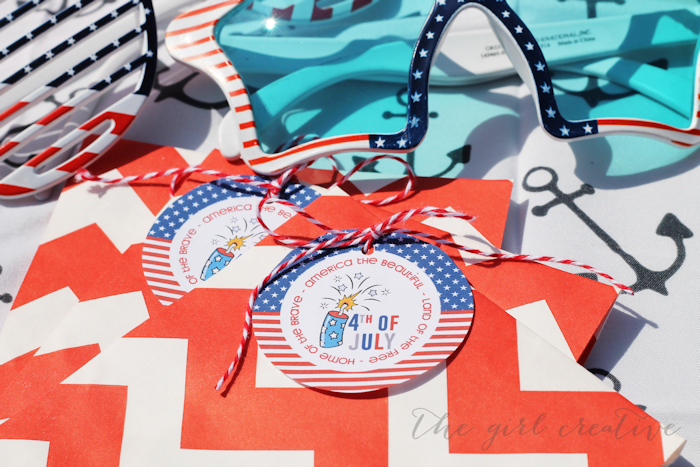 For this fun hop I created some cute and patriotic 4th of July tags! Creating tags is one of my favorite printables to create because they can be used in many different ways. Here I used them as tags for goodie bags. You can also use them as labels and cupcake toppers! So many fun options! 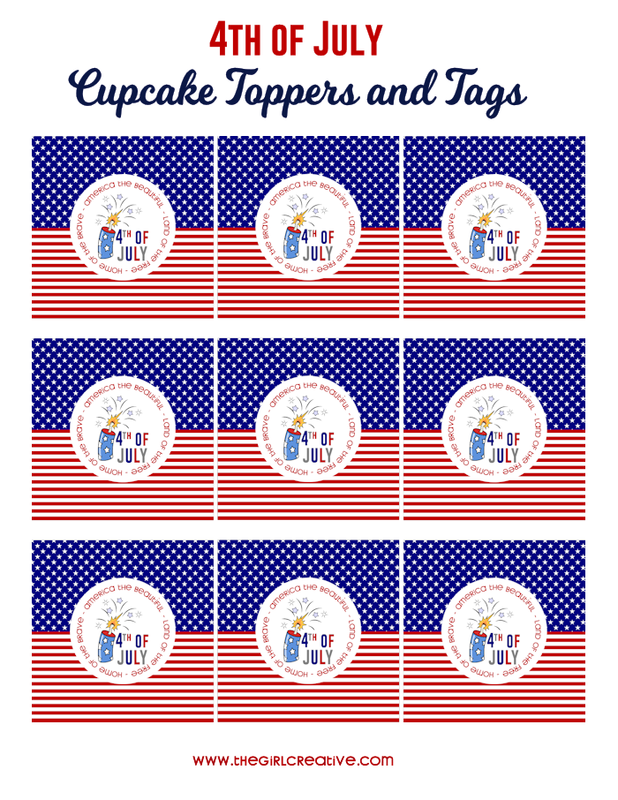 To use as tags or cupcake toppers, print out onto white card stock and cut out using 2″ circle punch or 2.25″ scallop punch. To use as labels, print out onto full sheet labels and cut out using paper punches referenced above. These are all so wonderful! Thanks so much for sharing these. Now I can really celebrate the 4th with a flair!